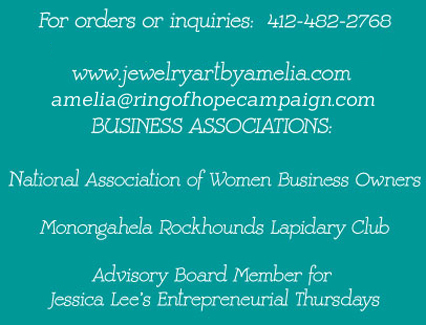 to purchase a "Ring of Hope" ring. This beautiful "Ring of Hope" ring was designed and hand crafted to help support Domestic Violence Awareness. Its symbolism is shared by those who have been affected by Domestic Violence. Help support Domestic Violence Awareness by owning the "Ring of Hope" ring and let its story shine through to all who see YOU wear it. Go to www.ringofhopecampaign.com to view all "Ring of Hope" Jewelry.